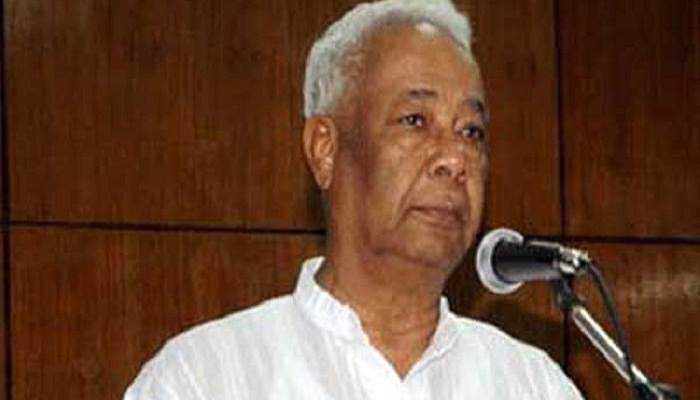 BNP senior leader Hannan Shah on Wednesday alleged that the country is heading towards chaos again as law enforcers can not arrest terrorists as they are engaged in suppressing the opposition. “The country is again heading towards a disorder. Now people have no security of their lives and property as law enforcers have been let loose against opposition politicians, not against the terrorists,” he said. Hanna Shah, a military officer-turned politician, also said the police force has neither skill nor has necessary training to arrest the criminals and restore peace in public life, UNB reports. Jatiyatabadi Zia Samajkalyan Parishad arranged the discussion marking the National Revolution and Solidarity Day. The BNP leader alleged that the government is pampering the terrorists by resorting to blame game instead of taking action against them. Hannan Shah, a BNP standing committee member, said arresting opposition leaders and activists has become a routine work of the government.